Until Moms color corrected meh! Now I'm a Black Kitteh again! Some moms just go a little crazy with the photoshop stuff!!! 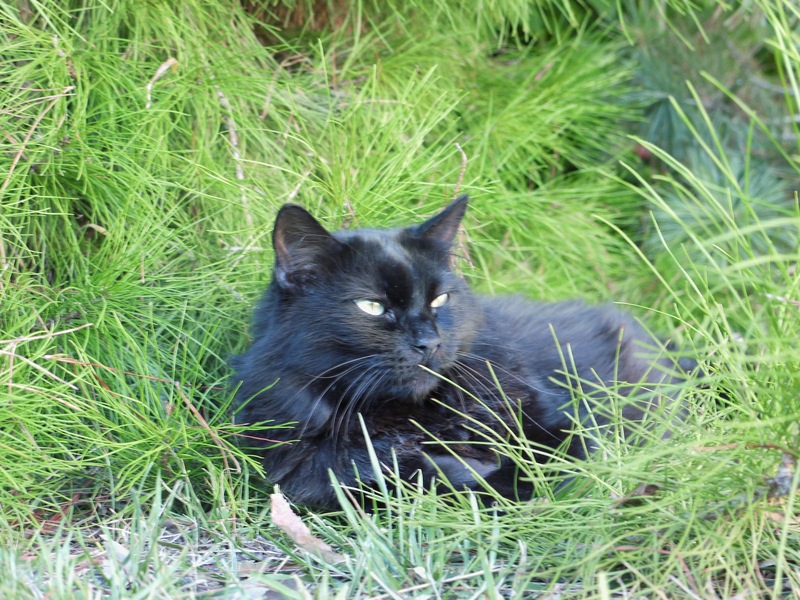 You look lovely against the green pine, Black Kitteh! MOL, you're so amazingly good looking! It seemed that you were under the moonlight.